This past week we received an e-mail from one of our parent group leaders in Colorado. She shared with us a lovely testimonial, written by one of the parents who had just completed a 14-week parent group. 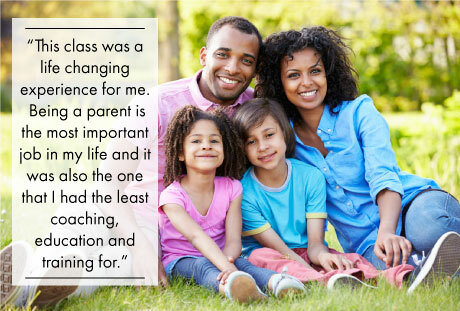 This parent expresses her experience with the class, and we wanted to share it with you all! I wanted to share with you this e-mail I received after finishing the Incredible Years parenting program last night. We were so touched by the e-mail that we wanted you to see it. I have facilitated the group for the past 8 1/2 years for a total of at least 17 sessions and I continue to get responses like this one. By week 14, I saw how necessary it was to actually have all that time for all the information provided, to make sense and to be able to learn to apply it. It works…. no matter how reluctant we may have been at the beginning, you won us over. It does work! This class was a life changing experience for me. It taught me that being a parent is the most important job in my life and that it was also the one that I had the least coaching, education and training for. Now, I can see how I can help my children become better people. This class taught me that… it made learn and mature and be a better parent, and that is just priceless. I will never be able to thank you enough, never. I wish that every parent would be willing to do the class and commit to do it, the effort that it takes to do it compared to what you get out of it has NO comparison. Now I feel more confident on how to behave with my kids, how to be a better mother, a better wife and I feel so much happier. Thank you for giving me this gift. It is a wonderful feeling and I very much appreciate it. The information given and the way it was presented was extremely useful and I got the book to keep reminding me what to do if I ever feel lost. It was absolutely wonderful. I would recommend it to anyone in a heart beat. 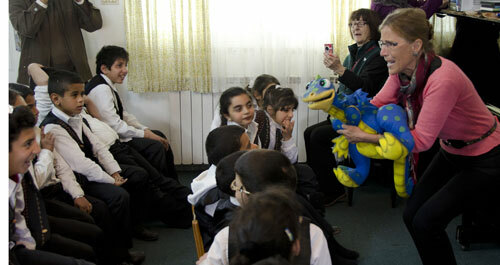 Thank you for offering this program, it was a treat and joy. Categories: Incredible Years, Testimonials | Tags: Children, parent class, parent education, parent groups, parenting, Parents, testimonial, The Incredible Years | Permalink. Earlier this year, Dr. Webster-Stratton had the opportunity to travel to West Bank, in Palestine, to meet with and observe those implementing Incredible Years® Parent, Teacher and Child programs at the Holy Child Program. We did a special newsletter spotlight series, providing a detailed account of the trip, which you can read here and here. The Holy Child Program (certified by the Palestinian Ministry of Education) is a service of the Bethlehem Holy Child Program Corporation. The beliefs and teachings of the Roman Catholic Church provide the framework within which the services are offered even though the majority of the children are Muslim. The goal of the school is to provide an alternative education for children who suffer from untreated, complex mental health issues and exposure to intergenerational trauma. It provides individualized programs for each child and seeks to highlight a rich cultural heritage as well as partnerships with local providers. The teachers have participated in the Teacher Classroom Management program, and now deliver the Child Program to the students at the school. Additionally, there are weekly parent groups for mothers in the area! We are now very excited to announce this video, which was made to showcase the program in West Bank and highlight the excellent work they are doing there! Please see the video below and share with your colleagues! Categories: Incredible Years, News, Testimonials | Tags: Holy Child School, Incredible Years, parent programs, Testimonials, West Bank | Permalink.